TRAIL WORK IS AWESOME, AND IMPORTANT, EVEN IF WE'RE NOT LEADING IT. We have all our upcoming trail work dates and projects listed here, and will be perpetually updating that page with new trail work projects and dates, but there are tons of other places to plug in locally if you're seeking to find some epic or introductory trail work to give back to beloved outdoor spaces that give so much to us, if you're seeking hours for race-related trail work requirements, or if you're just looking for an awesome and outdoorsy way to pass the time. 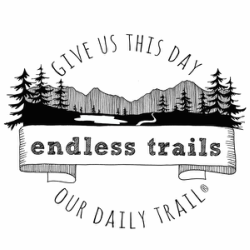 What there wasn't, until we made this page, was a place to locate all of said regional trail work without having to traipse to a slew of different websites to find it. (At least, not that we could find.) So this is an attempt to take the guess-work out of finding local and regional trail work parties you might want to join, in an effort to get more folks really plugged into their local trail communities. Hope to see you on the trails soon & very soon!